The world continues to embrace new building technologies that promote faster, simpler and cost effective construction as development continues its rapid growth. 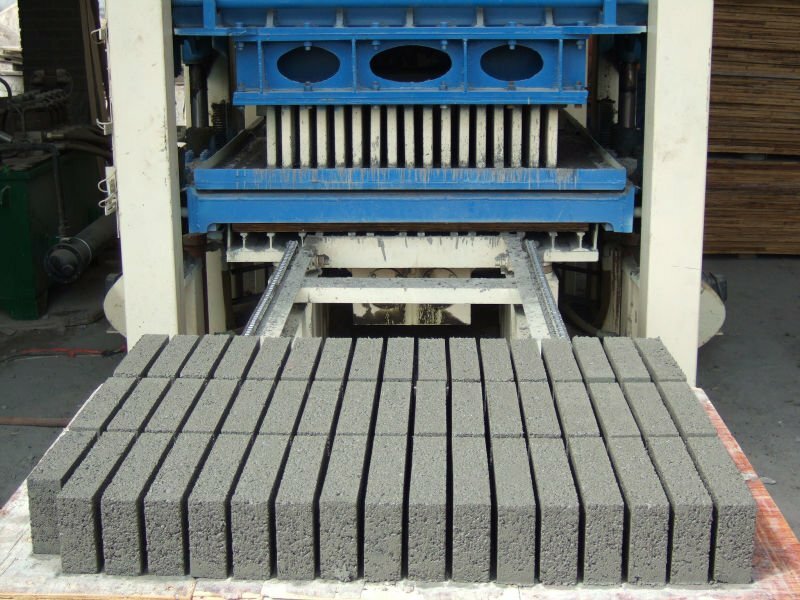 Investing in a brick and block making machine is a smart decision for any business that is looking to get off the ground quickly by producing high-quality products with a low-cost. However, finding a suitable manufacturer to buy a brick and block making machine is not always easy, and it is safe to say you cannot pick one up from your local hardware store. GM Quangong Machinery is a leading manufacturer of concrete machinery and plant and a provider of integrated solutions for concrete blocking making founded in 1979 in Germany. With 15 overseas offices and 25 domestic offices, QGM Machinery are not only distributed and found in use all around China, but also in more than 120 countries and areas. The company’s persistence in quality and environmental concerns creates value in their products which adheres to 6S,IS09001 Quality Management System and ISO14001 Environment Management System. QGM’s 60 years of experience in the construction industry has enabled them to achieve various successes including introducing the new series of T10 and T15 automatic block making machine and production line, with its own intellectual property right. The company dedicated more than 25 years to developing building technology (ABT) through continuous research and development with leading institutions which enabled them to develop a stabilized soil-cement block (SSB) that is dry stacked and interlocks on 4 sides, eliminating the use of mortar in 70% of the building structure with no need for concrete or steel columns. Hydraform’s brick and paver machines are capable of manufacturing SABS approved bricks, blocks and pavers thus resulting to long lasting machines and great return on your investment. The Hydraform interlocking building block remains the most popular choice in ABT technology for various construction purposes due to the speed, efficiency, cost saving and localized production. Sadhana Engineering Industries started in 1986, by Mr. Mavis Davis a pioneer in the field of engineering equipment at Thrissur. With over 28 years of experience, the company has been able to master the art providing machines to their clients in customized solutions to meet their uncommon demands and specific requirements at exceptionally nominal prices. The company also offers an unmatched collection which consists of Concrete Brick-Block Making Machines, Concrete Mixing Machine with Hydraulic Hopper, Concrete Mixing Machine with Diesel Engine, Concrete Block Die Set, Pan Mixing Machine, Viro Forming Machine, Earth Rammer, Soil Brick Making Machine, Soil Grinder, Soil Siever and Pan Mixer 5HP. The company has footed and set up a foothold in the industry beneath the supervision and farsightedleadership of their esteemed mentor Mr. Mavis Davis.His exceptional knowledge and experience in this domain has guided the company to work with complete sincerity in order to attain the organizational goals and motives. A proudly South African company, Brick Management and Manufacturing Supplies was founded by Mr Ronnie Dunn over thirty years ago and supplies heavy clay working machinery, extrusion and auxiliary equipment, wearing and spare parts and provide technical expertise for the clay brick making industry and mineral processing and agglomeration industries. The company prides itself in being the sole Southern African regional representatives for JC Steele and Sons Inc. and Händle GmbH the global leaders in stiff extrusion and over 90% of clay bricks made in Southern Africa are manufactured using their machines. Other services offered by them include high quality design, precision and general engineering including CNC machining a diverse range of products and a plastic injection moulding division. BESS Company which is an organization of BEYAZLI GROUP started the commercial activities with manufacturing of Hollow Block machine, Concrete Block machine and Mould industry in 2007. Bess Company developed and grew rapidly especially with experienced and expert staff who had been chosen with meticulous. Within a short time it has succeeded to show activity at international areathrough servicing a market of 23 countries. The Concrete Block Machine, Hollow Block machine and Concrete Mould machine which were manufactured by Bess made an important level ecomomical contribution with domestic and export sales to economy of country. Besshas a leading identity in the machinery sector and the belief with values has been to forefront in the direction of research, innovation and qualification principles as using the opportunities which were provided by technology have been effective to make decision based on data. Press Makina started to design and produce the first manual concrete block machines of Turkey with 5 employees in a 100m2 atelier in 1940. PressMakina today has become one of the leading automated concrete block machine manufacturers of Turkey with its 3 manufacturing plants covering an area of 18.000 square meters.Using the newest 5-axis machines, PressMakina is exporting over 90% of its products to Middle East and Africa. The company provides an excellent installation, deployment and after-sales support to its customers, wherever the customer is. This customer based approach enabled the company to be the market leader for Concrete Block Machines in the African Market, increasing its yearly Concrete Block Machine manufacturing capacity to 75 machines per year, and added Concrete Batching Plants and Crushers to its product portfolio.